eject or send SMS(eg. "Sorry. I'm busy, now. Please call me later.") automatically to annoying spam calls or some calls during your important meeting/lecture/seminar. With this application, you can list up some phone numbers or make up some phone number patterns(all phone numbers / start with specific number / end with specific number. Also, You can exceptionally set the specific numbers to non-spam number for your lover or boss). And, you can easily make up reaction to each number or pattern's call easily. 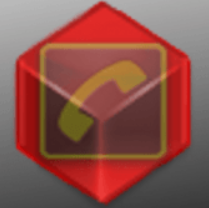 You can reject call immediately, and/or delete call log, and/or send response SMS automatically. All setting is easy to use. + Thanks to Woojin Choi who checked my description text in English.